The Vehement Knives Grunt provides a compact outdoor knife design that can be worn on a belt for comfortable EDC. The Grunt makes the perfect all-around utility fixed blade. 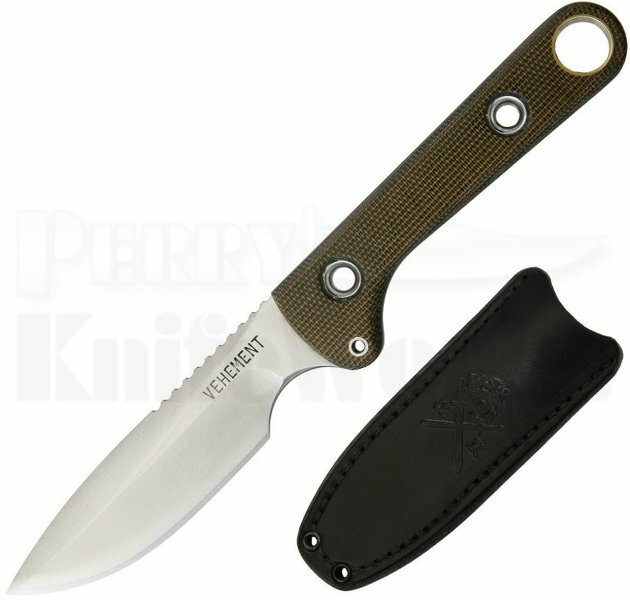 It has a full tang blade made from CPM-154 steel with OD green Micarta handle scales. Comes out-fitted with a custom black leather belt sheath.